Choosing the best Wheelchair Cushions and Backs can make a huge difference for the comfort of your ride. If you’ve had an injury or surgery that affects your posture, you must be looking for a product that offers immaculate positioning, but the bottom line in Wheelchair Cushion shopping comes down to comfort and complete relaxation. 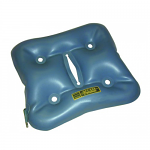 BBD Wheelchair Cushions and Backs are designed to provide extra support and comfort. Sportaid's experts can help you find the right options according to your requirement. Browse through our huge selection of BBD Wheelchair Cushions and Backs or feel free to call 1-800-743-7203 for help choosing the right option today. You'll be glad you did! With savings up to 21% over the competition, Sportaid has the best deals on BBD Wheelchair Cushions and Backs! 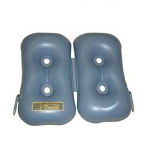 Find the Right BBD Wheelchair Cushions and Backs for You! Sportaid’s huge selection of BBD Wheelchair Cushions and Backs includes W-Series, BBD B-Series Bariatric Wheelchair Cushions, BBD M-Series, and BBD D-Series Wheelchair Cushions. 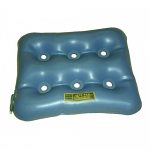 BBD wheelchair cushions use a thicker rubber for strength and provide a higher degree of pressure relief. They come with the new BBD deluxe cover, pump, patch kit, and instructions manual. And with our Low Price Match Promise on all wheelchair cushions you really will come out a winner big time. Whether you are a new customer or you are planning your next purchase of many, satisfaction is guaranteed. After over 25 years in the business helping people find BBD Wheelchair Cushions and Backs as well as wheelchair parts and wheelchair accessories at the lowest prices, we continue to lead the industry! We can beat any competitor's advertised price with just one call from you! Our customer service staff has over 50 years of experience, plus over 90 years of combined wheelchair use experience. We look forward to working with you! T9 Para since age 12, 36 years ago I'm 48 now, seen the evolution on urininary products and all para products over the decades.